Al Ahly’s women’s team have been crowned as African Club’s Championship champions after they overcame Tunisia’s Carthage in the final showdown on Monday. The final took place at Prince Abdullah Al-Faisal hall at Al Ahly’s headquarters in Cairo, as was the case for the entire tournament which was hosted by the Red Devils. Al Ahly was the dominant side in the majority of the first set but a sudden decline in performance allowed the Tunisian outfit to get back in play before they seal the first set in their favour. The Red Devils bounced back quickly and managed to win the second set after clearly having the upper hand with scoreline 25-15. 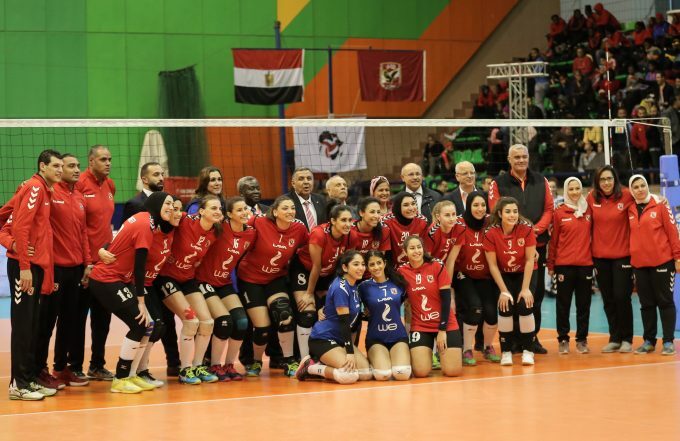 Al Ahly maintained their lead in the third set and fired strong against Carthage to add a second set in their record with 25-11 score, before achieving the victory and the trophy after clinching the fourth set 25-19 to finish with 3-1 victory and be declared as the Champions of Africa.